Filming for upcoming movie “Marital Harmony” (literal title) starring Lee Seung-Gi & Shim Eun-Kyung finished December 23, 215 in Namyangju, Gyeonggi Province, South Korea. Filming took about 4 months to finish. The film is setup as a period romantic-comedy with Shim Eun-Kyung playing a Princess with four bachelors linked to her due to their marital harmony signs. Meanwhile, Lee Seung-Gi plays a marital harmony sign reader involved with the Princess. “Marital Harmony” will be released sometime in 2016 in South Korea. Teaser trailer added for movie “Cherry Blossom Memories” starring Maika Yamamoto & Koudai Asaka. Movie is based on the vocaloid song “Sakura no Ame” by halyosy and directed by Atsushi Ueda (“School Girl’s Gestation“). “Cherry Blossom Memories” had its world premiere at this year’s Tokyo International Film Festival and will have its general release March 5, 2016 in Japan. Veteran actors Sung Dong-Il, Lee Kyoung-Young and former f(x) member Sulli are now cast in supporting roles for upcoming movie “Real” starring Kim Soo-Hyun and Han Ji-Eun. In upcoming movie “Real,” Sung Dong-Il will play gang boss Jo Won-Geun. His character is in conflict with Jang Tae-Young (Kim Soo-Hyun) over a casino. Lee Kyoung-Young will play reportage-writer No Yeom. He is an ex-detective. Sulli will play Song Yoo-Hwa. Her character works as a rehabilitation therapist at a hospital which Jang Tae-Young goes to. Meanwhile, photo above is of the cast from “Real” which was taken on December 28, 2015. They are taking part in the traditional gosa ceremony (to bring about good fortune) prior to the commencement of filming. Release date for upcoming movie “Like for Likes” has now been set for sometime in February, 2016 in South Korea. Movie stars Lee Mi-Yeon, Yoo Ah-In, Kim Ju-Hyeok, Choi Ji-Woo, Kang Ha-Neul & Esom. Early working title was “Happy Facebook.” Story for the film follows the love lives of 3 couples. “One More Happy Ending” first airs January 20, 2016 in South Korea. 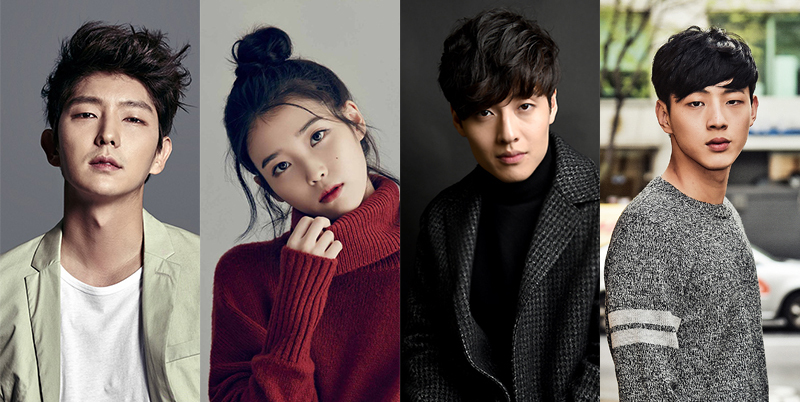 Singer/actress IU has been offered the lead female role in upcoming SBS drama series “Moon Lovers.” Actor Lee Joon-Gi is still considering an offer to play the lead male role, while Kang Ha-Neul, Nam Joo-Hyuk and Baekhyun (‘EXO-K’) are all considering offers to play major supporting characters. So far, actors Ji Soo & Kim Sung-Kyun are cast for the drama series. “Moon Lovers” is based on Chinese novel “Bu Bu Jing Xin” by Tong Hua. Actor Ji Soo will play Prince Wang Jung. His character is the 14th Prince of Goryeo and has a bright personality. He is loved by the people. “Moon Lovers” will air sometime during the first half of 2016 in South Korea. Teaser poster added for upcoming movie “Distraction Babies” featuring the battered face of Yuya Yagira. Movie also stars Masaki Suda, Nana Komatsu & Nijiro Murakami and directed by Tetsuya Mariko (“Yellow Kid“). Release date for “Distraction Babies” is now targeted for sometime in May, 2016 in Japan. First script reading for upcoming SBS drama special “Puck!” took place October 16, 2015 at SBS Production Center in Ilsan, South Korea. The 1 episode drama series stars Lee Kwang-Soo and Son Soo-Hyun. 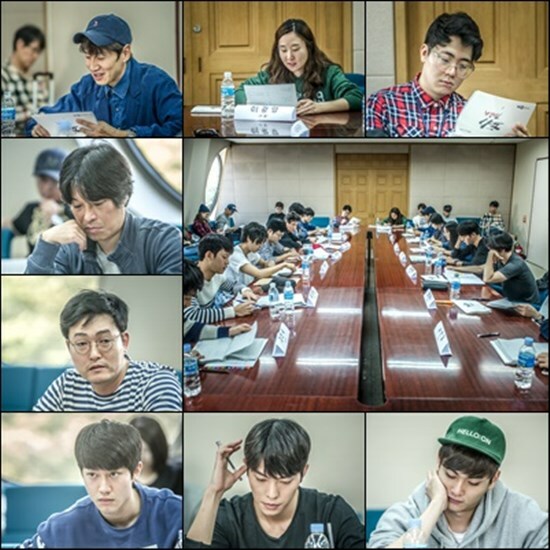 The first script reading featured Lee Kwang-Soo and over 20 other cast members. Story for “Puck!” has Lee Kwang-Soo playing a nice loan shark who joins the university ice hockey team to collect a debt. In addition, air date for “Puck!” is now set for January 1, 2016 in South Korea. 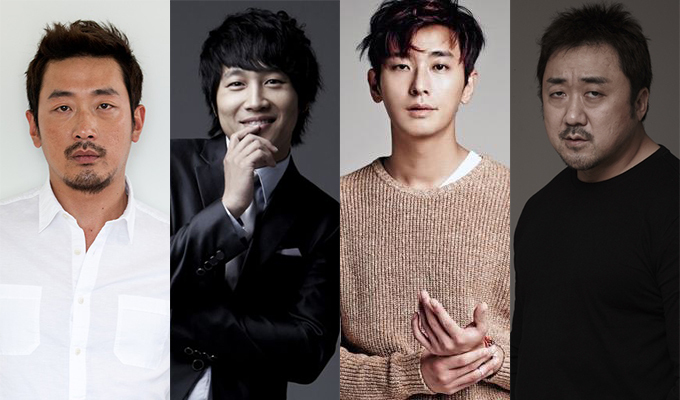 Actors Cha Tae-Hyun and Ju Ji-Hoon are cast in upcoming movie “With God” (literal title) which has already cast actors Ha Jung-Woo and Ma Dong-Seok. Movie “With God” is based on webcomic “Singwa Hamgge” by Joo Ho-Min and will be directed by Kim Yong-Hwa (“200 Pounds Beauty“/”Take Off“). Story for “With God” follows angel of deaths who take humans into the after world where the humans receive 7 trials over a period of 49 days. Cha Tae-Hyun will play Ja-Hong. His character dies suddenly and he receives his trial in the after life. Ju Ji-Hoon will play Hae Won-Maek. His character is an angel of death and cool-headed. Meanwhile, Ha Jung-Woo plays Gang Rim. His character leads the angel of deaths and he holds an affection for human beings. Ma Dong-Seok will play a God of House. He lives in the human world and protects them in their house. 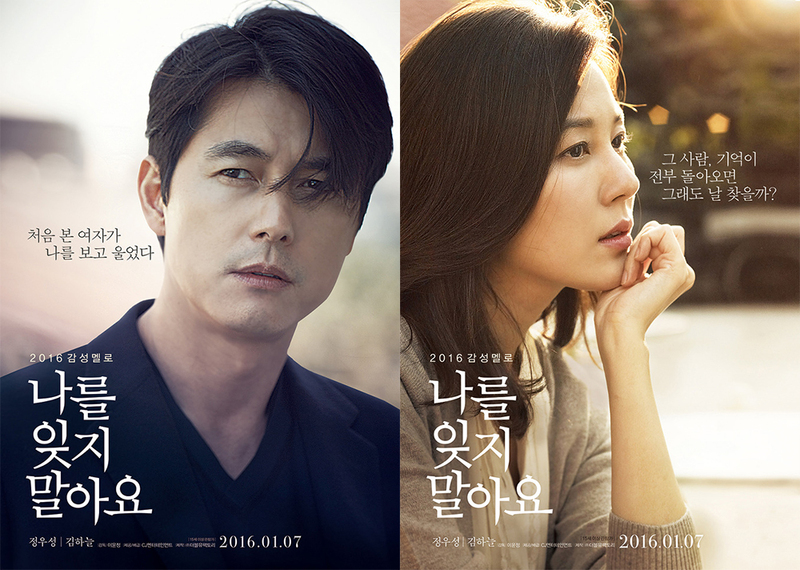 English subtitled trailer added for upcoming mystery-romance film “Remember You” starring Jung Woo-Sung and Kim Ha-Neul. Story for “Remember You” follows a man who lost his memory from the past 10 years in a car accident and a woman near him. “Remember You” will be released January 7, 2016 in South Korea.